Did These Movies Actually Predict the Future? Movies are filled with all kinds of fabricated facts and scenarios that are created to fit into their own narrative, but sometimes movies accidentally get things right that apply to the real world as well. This 1989 classic may have missed the mark on a few predictions (unfortunately those sick Nike shoes only exist as cool movie props), but it did manage to get some things right. 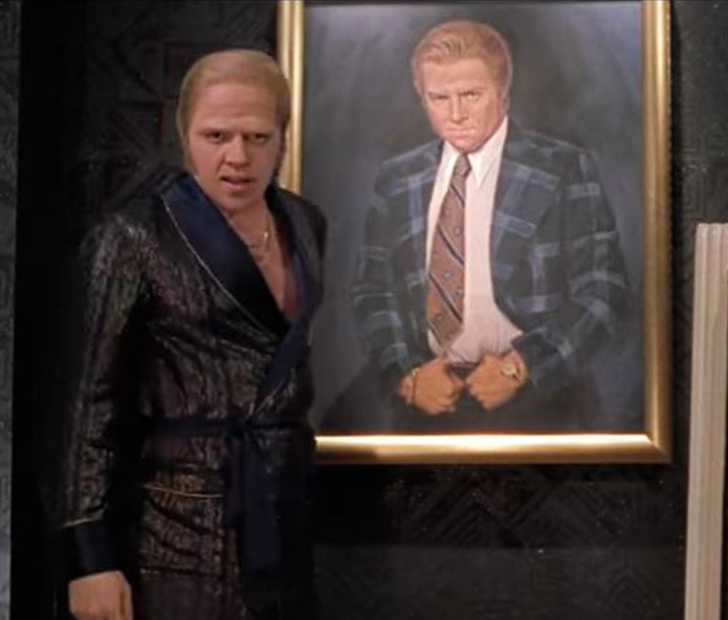 Some of the more significant aspects include flat screen TVs (which are now the norm) and Biff’s rise to power. Even though the character was modeled after Donald Trump, not even the script writers could have predicted that the real-life model of their character would become the most powerful figure in the country. The U.S. just recently experienced the largest hurricane in its history, and it was accompanied by two other storms separated by a matter of hours. 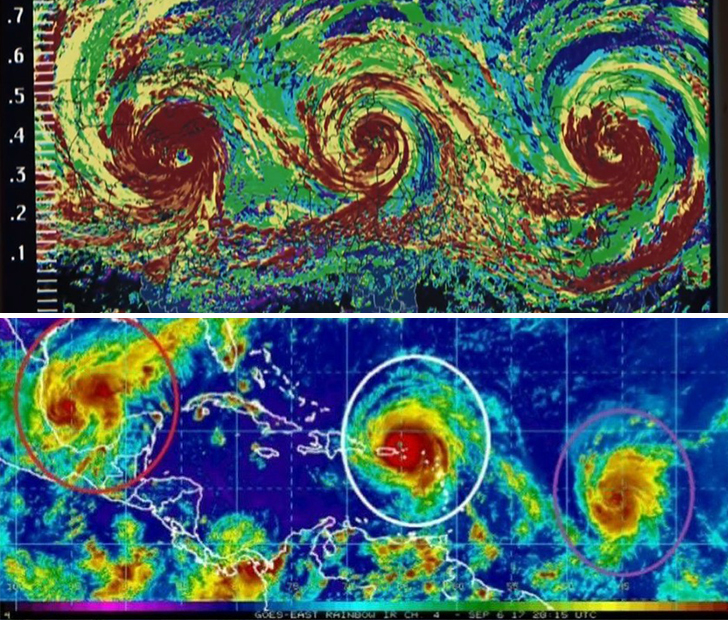 The top image depicts storm surges in the “fictional” 2004 apocalypse film, while the bottom image shows what just happened in the second week of September, 2017. Could it be that the title Day After Tomorrow is more of a foreboding warning than previously assumed? When it was released in 1987, this film quickly became a cult classic due to the way it wowed audiences with its concept of what’s essentially a criminal-busting robot. Here we are 30 years later, and it would seem that we’re just now finally catching up with the futuristic tech. 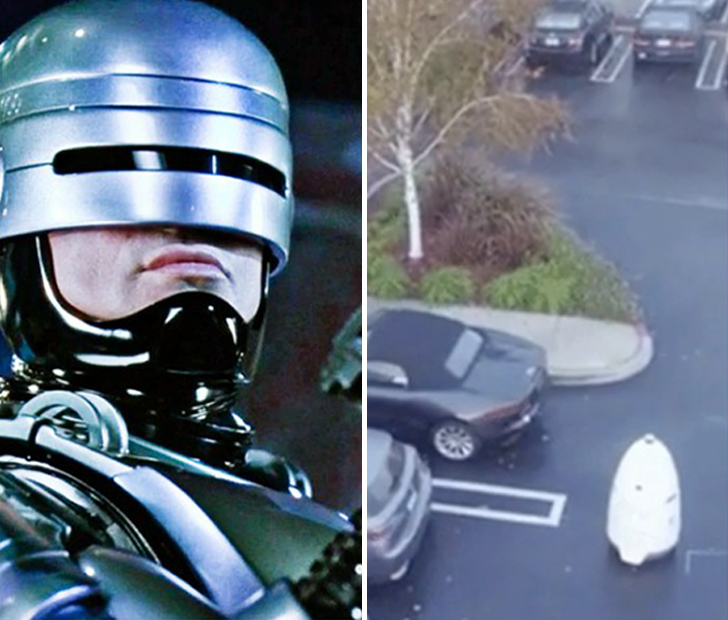 Knightscope is the name of a company that is producing specially-designed robots that help out with security in parking lots of malls and other popular venues. Click on the NEXT PAGE to read about more movies that predicted the future!